Touted as the world’s largest sand island, Quensland’s World Heritage Fraser Island forms a seaward barrier that has created unique sheltered water cruising grounds and protected anchorages north of Brisbane. The Great Sandy Strait waterway is approximately 40 nm from north to south, plus there’s Snapper Creek and Tin Can Bay at the southern end, the Mary River and Maryborough in the middle and Hervey Bay at the northern entrance to explore. The southern entrance to the Great Sandy Strait is via the Wide Bay Bar – a tricky bar that requires careful consideration of conditions before crossing. The diversity of Fraser Island is one of its main attractions. The island comprises immense sand blows, lush rainforests, gin clear waters in inland lakes, expansive beaches and abundant wildlife. There are four residential communities on the island, offering limited opportunities for services and supplies, though all visitors should be completely self-sufficient. All roads on the island are sand and are therefore only suitable for 4WD vehicles. 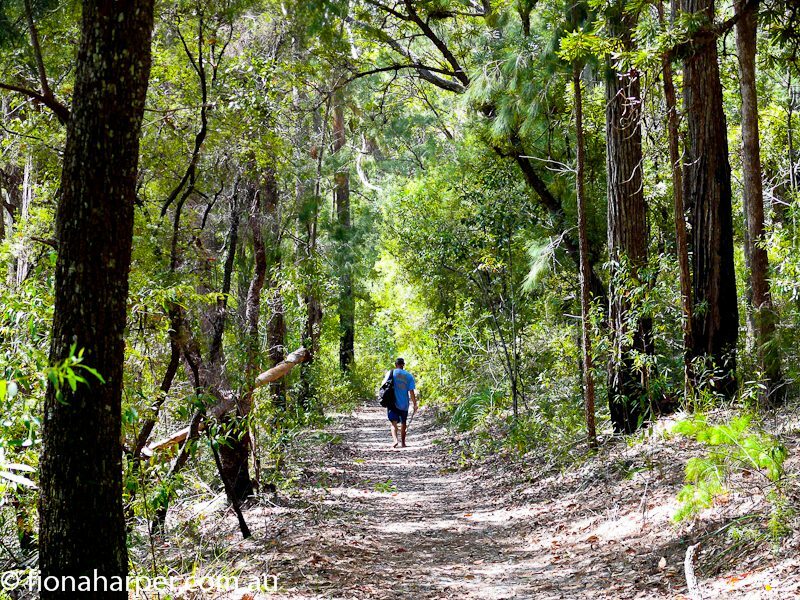 Walking trails crisscross the island making it a wonderful adventure for hikers. Don’t be surprised to see light aircraft using the firm packed sand beaches as a landing strip, or tour buses appearing from behind sand dunes. For sailors heading north from Mooloolaba and the Sunshine Coast, the first challenge to overcome is the notorious Wide Bay Bar. 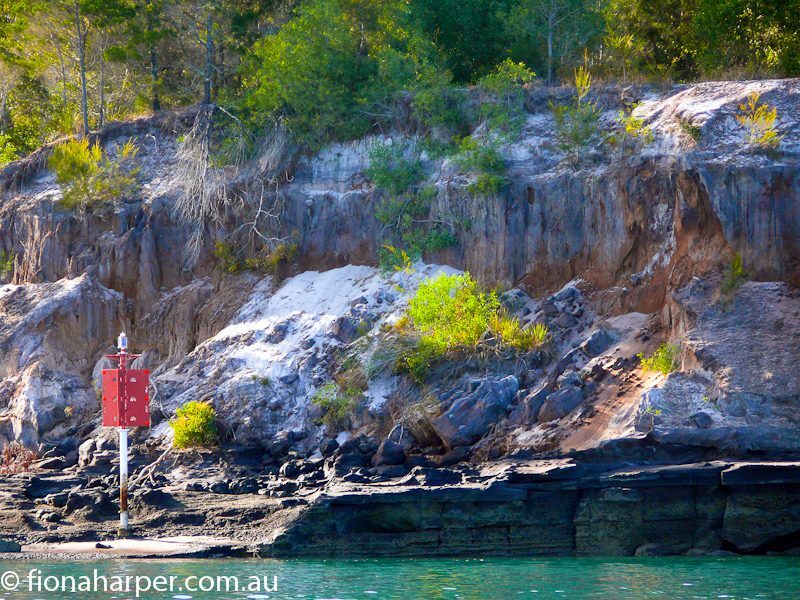 The Wide Bay Bar sits at the southern entrance to the inside passage of Fraser Island and the Great Sandy Strait. As with any bar crossing, it should be treated with the highest respect and mariners should attempt it only during favourable conditions. The bar should be crossed as close to high tide as possible, though, because bar conditions change regularly, it’s recommended that mariners obtain the latest information from Tin Can Bay VMR. Entering from the north is more straightforward, though there are still extensive shallow shoal areas to negotiate. Tide charts should be consulted when navigating the Great Sandy Strait, with sandbanks drying at low tide, particularly around Boonlye Pt where the incoming tides seem to converge from the north and south. The Beacon 2 Beacon guide book has great maps of the entire area, while Alan Lucas can be trusted to provide sensible, conservative advice in Cruising the Coral Coast. After successfully navigating the Wide Bay Bar there’s plenty of flat-water sailing to look forward to. Anchorage is possible just inside the Bar at Pelican Bay, behind Inskip Point. This is a popular anchorage for southbound vessels waiting for the right conditions to cross the bar and reach open water. The vehicle ferry operates every day between Inskip Pt and Fraser Island, so there’s also lots of traffic on the beach. Another option is to head south into Tin Can Inlet then Snapper Creek where you’ll find the waterfront town of Tin Can Bay with its large marina and busy fishing fleet. Alternatively carry on west into what appears to be a mangrove swamp and Kauri Creek will open up into a navigable channel that allows penetration deep into the mangroves. There is a bar at the entrance so check your tide chart first. Further north, and hugging the west coast of Fraser Island, Browns Gutter is a marked narrow channel running north south that allows anchorage close to the island. Further north, Garrys Anchorage is another narrow marked channel positioned between Fraser and Stewart Island just north of Figtree Creek. There’s road access and a campsite onshore. Carrying on north is where it gets a little tricky, and its crucial to pick the right tide to navigate the extensive shoal area. The channel is well marked with lit lateral beacons, but it’s not uncommon for keel yachts to touch the reassuringly soft, sandy bottom here. Just make sure you’re on a rising tide, not a falling one or you’ll have a long wait to get underway again. Clearing the shoals, there are a few options at South White Cliffs if it’s blowing from the NE through to SW, otherwise anchor in behind Bookar Island if it’s fresh from the north. Onshore there is Yankee Jack and Deep Creek to explore at high tide, plus there’s also a shipwreck at the mouth of Ceratodus Creek. Just north of here is the entrance to the Mary River, which is navigable all the way to Maryborough 19 miles upstream. Lucas advises caution with constantly shifting sand bars but also suggests the Mary River is forgiving to accidental groundings with its mostly sand bottom. Perhaps the favoured anchorage for yachtsmen is at North White Cliffs, though the anchorage is untenable in moderate northerlies: try tucking in behind Big Woody Island if the forecast is from the north. Onshore is the Kingfisher Bay Resort, which welcomes day-trippers who arrive on private yachts or the ferry from Urangan. 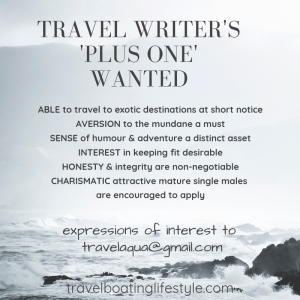 There is a swimming pool, showers, bar and restaurant onshore specifically for these visitors, plus the resort has a bakery and general store with fuel, limited groceries, a bottle shop and other essentials. 4WDs are available for hire or you can book a day tour to explore the inland forests and lakes. For the extremely fit, it is possible to walk to Lake MacKenzie from here, though it’s almost 25 km for the return trek. Don’t be surprised to see dingoes wherever tourists congregate. They tend to scavenge for food and can be threatening. Treat them with respect and avoid leaving food out. Heading north past Big and Little Woody Islands, the northern entrance to the Great Sandy Strait opens up and the water clarity and colour soon turns the shade of turquoise associated with a sand bottom. The choices are to carry on northwest where the temptations of civilisation beckon with the Urangan Boat Harbour and its three marinas. Alternatively, head northeast and hug Fraser Island, ducking and weaving through Moon Point Bank and Pelican Bank shoals. Which takes you out of the Great Sandy Straits and into Hervey Bay, and if you’ve timed your passage to coincide with whale watching season you’re in for an absolute treat. Hervey Bay boasts of being the whale watching capital of Australia, and it’s a well-founded claim. Humpback whales use the bay like a nursery, taking time out to feed their calves, rest and socialise before heading south into Antarctic waters for the summer. Any time from late July to November is a good time to spot these massive creatures throughout the bay and into the top of the strait. The west coast of Fraser Island arches into the sweeping crescent shaped Platypus Bay. Anchorage is possible almost anywhere along this entire coast in southeast to east winds, with the northern corner offering protection from a northeasterly breeze. Though with an easterly offshore breeze, sailors may not want to drop the sails to anchor, as this is one of the coasts really great flat water sails. Multihull owners may be tempted to nudge their way into Lagoon Anchorage mid way up the bay, which completely dries apart from a pool large enough for a yacht to drop anchor in. The northern cape of Fraser Island forms another major shoal area as Pacific Ocean swells roll up the west coast and around the top of Sandy Cape. It really offers the mariner little in the way of options, except in the gentlest of conditions, with swell and tide combining to cause an uncomfortable anchorage. Though Matthew Flinders did have a go at landing on the northwest tip in 1802, it’s a sure-fire method of creating grumpy, sleep deprived crew. The east coast of Fraser Island runs almost in a straight, unbroken line from northeast to southwest. It offers little in the way of anchorage options due to the aforementioned Pacific Ocean swells that create ideal conditions for surfers and beach swimmers. The firm sand beaches are a favourite with campers and 4WDs, and yachtsmen should sensibly avoid the entire east coast. Don’t have a boat? 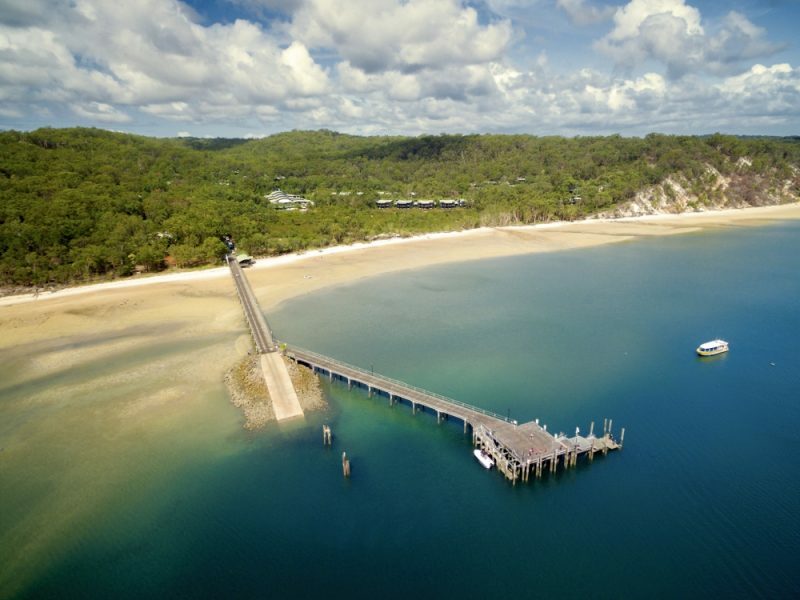 Kingfisher Resort Faser Island is a large eco-style resort on the western side of Fraser Island. The Boat Club Marina has 96 berths, can accommodate vessels up to 20 mt, there’s a laundry onsite and all berths have wireless internet via Marinanet. The Boat Club is a vibrant entertainment venue with three bars, Sinbads Bistro as well as casual dining at the Coffee Shop, the Jazz Club meets here once a month and there’s a courtesy bus service for marina guests. Onsite there’s also a chandlery and boat brokerage, plus a public fuel dock nearby. Fishermans Wharf Marina has 130 berths, and can accommodate vessels to 24 mt. Haul out facilities include a 200 tonne Slipway as well as a 40 tonne Travel Lift. Onsite trades include engineer, shipwright and aluminium and stainless steel fabricator. Mary River Marina is located at historical Maryborough, 19 miles upstream, with the marina just a few minutes walk to the CBD. They have 20 berths as well as 13 swing moorings, a chandlery and licensed restaurant onsite. Cruising pets are just as welcome as their owners. Tin Can Bay Marina is located on Snapper Creek, at the Southern extremity of the Great Sandy Straits. They have 172 berths and can accommodate vessels up to 20 mt. There’s wireless internet with Marinanet, plus there’s a laundry, holding tank pump out facilities and a fuel dock. Dockside is the Codfather Restaurant. Maintenance facilities include a 30 tonne Travel Lift, chandlery, shipwright, diesel and outboard mechanic, plus there’s a boat broker onsite. Just 1km away is a supermarket along with other provisioning essentials. We cruised through the Sandy Straits in our catamaran last summer and had no problem with water depth. Though other yachties in monohulls were carefully checking the tide religiously. Cats are best!